Memories of SPI submitted by our Alumni. If you are a SPI alum and would like to share your memory, words of wisdom or what your SPI experience meant to you, please send us a message. If you would, include your name, rank, department (or former dept. if retired) and the course attended along with your message. Thanks to our alumni for posting their memories of the Southern Police Institute! I remember receiving an email from the Deputy Chief of my agency stating that I had been selected to attend the Southern Police Institute. I thought, “what a high honor”, as I sat back in my office chair with various emotions. Excited, grateful, nervous, but eager to take on the challenge. And then the day had arrived, I found my name tag on the left side of the classroom near a window as everyone began trickling into the room. I immediately knew that I was amongst some of the most elite law enforcement professionals around the nation and we were under the teachings of some of the finest instructors and professors globally. And boy, was I right! My 12 weeks at SPI were transforming, eye-opening, challenging, inspiring, and an all-around significant enhancement to my law enforcement career. I walked into SPI as a Sergeant and earned the rank of Lieutenant shortly after my completion. The 139th AOC has been life-changing, both professionally and personally, and it is certainly a journey to remember!" The first week at SPI (after my very first class) I started feeling really sick. I remember Dr. Walsh telling us on Day One "if you get sick don't go to U of L Medical Center, go to Jewish Hospital." I woke up in the wee hours of the morning on Day Two and knew I needed to get to the hospital so I took a cab to Jewish Hospital where I spent the next 6 days. The start of a 10 year battle with diverticulitis. Fortunately, the worst winter in 25 years had hit Louisville the same week and school closed for two Snow days. I was able to stay on top of my readings while in the hospital thanks to a great roommate and returned to the school the following week never for a second considering dropping out. Two weeks later I had full blown pneumonia from all the steroids they pumped in me in the hospital which weakened my immune system and walking to class in the snow and sleet wasn't the smartest move I ever did. I flew home that Friday after class and was treated all weekend and returned to class Monday AM ready to go eventually graduating near the top of my class in the Master's path. My classmates nicknamed me "Triage" which was pretty funny. I still don't think most of them know my real name.....haha.....The determination to finish SPI and graduate despite all the obstacles is something I look back on with great pride. Dr. Walsh, Phil Turner, Prof. Vito and Edwards were all so supportive of me during my time here I can't say enough great things about them. The merger had just happened between LPD and Jefferson County and alot was going on in Louisville. Great times to be at SPI AOC. As a member of the Southern Police Institutes 138th Administrative Officers Course (AOC), I feel that the education, training, and experience were an essential part of my growth as a leader. From the instructors, the courses of study, and most importantly my classmates all aided in both my personal and professional growth. As a member of the military for just over 9 ½ years, as well as being a Public Safety Officer which entails me being certified as a police officer, firefighter, EMT, and HazMat Tech, I have to say this is the most gratifying course of study I have ever taken. The wealth of knowledge gained from this course will open your mindset and your abilities to step outside of your comfort zone and explore even greater options to better your agency. Finally, your classmates are the best resource you could ever have. My brothers and sisters were hand-picked as future leaders in their respective organizations from 19 states and over 30 or more various types agency in which I now have a network of resources. The learning, the comradery, and the experience will change your life for the better as I gained so much more than just a course of study. This was by far the most rewarding training course I have ever had the privilege of attending and being a part of in my entire life. More importantly, I would not have changed one person or one second of the experience I was fortunate enough to be a part of for anything. If you want to challenge yourself and the process, then attend this course so you can Model the Way for others in the future of law enforcement. Also, if you think you remotely have a clue as to what makes you-you, well Alex Ferguson well change your notion and let you see what you're truly made of as a leader. Are you willing to accept the responsibility of what it takes to graduate this course? This was by far the greatest experience I have ever faced when it comes to training. I truly enjoyed this school and HIGHLY recommend it to any officer(s) that are looking to better their supervisory knowledge. My class (138th AOC) was truly like a family and we were always there for each other. Our motto was "No one left behind". The professors were awesome and very knowledgeable in their teachings, the speakers were fantastic, and the staff was great with their kindness. I almost hate that it came to an end but the memories and the friendships will last a lifetime. Thank you SPI for selecting me as a student. The knowledge that has been etched in my brain will be poured into my fellow officers back home. In my opinion and over my 22 years of experience, the SPI AOC is the greatest school in the country. I would love to come back one year and speak to the class about my great experience like others before me did with our class. I can speak as an undergraduate and let them know that they can do this when they sacrifice and prioritize their studies. This course is by far my greatest accomplishment and experience. "Driving into Louisville to begin my twelve weeks of SPI AOC, I thought I had a pretty good idea of what awaited me. After experiencing twenty-five years of just about every supervisory and managerial training known to law enforcement, I wondered what the SPI could possibly offer that I had not already seen. It took me about three classroom days to understand why the Southern Police Institute is regarded as one of the premier leadership schools for law enforcement in the nation. I have never worked as hard in an academic setting as I did in Louisville Kentucky between August 11th and November 6th 2015. The staff supported our class from start to finish. It was clear that these subject matter experts, with real world experience, were in the business of preparing the successful leaders of tomorrow. I left Louisville prepared to effectively lead my agency to where we will need to be in the coming years. I have made friends and professional contacts that will last a lifetime. I will absolutely be sending the members of my command staff to this training." 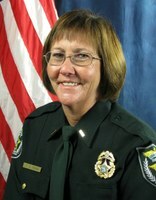 "During my twenty-five years of law enforcement, I attended many training opportunities but only the AOC ranks in the life changing experience category, at both a personal and professional level. In a world where “canned” training products rule, the SPI AOC experience provides its graduates with the ability to be the “can makers” rather than merely “can consumers.” This, at least to me, represents the true secret of the AOC experience, allowing command officers to become an effective partner in the evolution of law enforcement. The AOC offers graduates a solid educational foundation, directed by leading researchers in the field and delving into subjects that blend collegiate thinking skills with the practical skill sets possessed by the command officers who attend. This is the place to send your talent. It’ll change your life too." "“Without Credibility, you can’t lead”. This quote was from the book the Leadership Challenge, which was one of our required reads at SPI. It is stuck in my head since I attended the AOC #110 as a Sergeant in 2003. As the Chief of Police now in Middletown, Ohio, I still to this day read through my old SPI books, reports and curriculum when I need to recall or focus on a tough task at hand. The experience I received was one that I will never forget. It was simply the best training experience I have had in my 25 years of Law Enforcement. SPI is a no brainer if you are a newly appointed supervisor or manager. It will not only give you the hard skills you need to develop but the soft skills as well. The simple networking with other police supervisors from around the country is something that is invaluable. You get to see and hear firsthand about their experiences and how they conduct business. I haven’t seen some of them in 12 years, but sometimes when I have a question or I am trying to come up with a solution to a problem, I reach out to some of my former classmates. They never fail to give me their input or suggestion and it is always great to hear from them. I can tell you that I have attended a lot of supervisor training since then and nothing has compared to my experience at SPI. From the classroom to the after hour dinners watching Monday Night Football with my study groups, to the meeting for breakfast for laughs, you won’t regret attending. It was well worth the time and money and our department does our best to send every new supervisor to SPI as soon as we can. Great course, great people and an incredible experience." "I would highly recommend this course to law enforcement executives who are trying to enhance their professional development for their agencies and future careers. 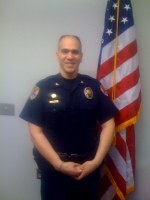 I attended SPI’s twelve week Administrative Officer’s Course in 1999 as a sergeant on the graduate track. The course was informative and challenging. I enjoyed learning about leadership, legal considerations and critical issues in policing. I also developed a network of law enforcement executives across the country that I can contact to gain access to innovative strategies and other law enforcement information. This helps to increase my knowledge, skills and abilities in my law enforcement profession. I continue to utilize the information I learned in the Southern Police Institute. I feel more confident as a command staff member in my organization. I have developed broad and critical thinking skills. My ability to problem-solve as a manager and come up with creative resolutions has increased. Many times, being a graduate of SPI has given me an edge in interviews for positions within and outside of my agency since they are nationally renowned. I had a wonderful experience attending SPI and will never forget the other law enforcement executives I met. 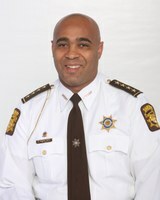 I not only gained a law enforcement network, but made friends and created many memories with them and the staff of SPI. I would highly recommend this course to others." "John Dewey said, “we do not learn from experience… we learn from reflecting on experience.” As a graduate of the 125th AOC class at SPI three years ago, I find this quote very applicable. The process of learning new information about leadership, organizational philosophies, and evidence-based strategies was just the beginning. Being fully immersed in this three month program with law enforcement leaders from all around the nation sparked professional ideas and career interests in me that I never knew existed. Prior to the AOC class, my interest in the “big-picture” was limited. But I began to see the concepts taught at SPI taking hold in my agency, and I wanted to be a part of the growth. I have drawn on the information I learned along every step of the way. So here I am: a twenty-four year veteran, newly enrolled college student, with my eyes on future promotions; and, I truly attribute this to the AOC experience. All agencies deserve to have inspired leaders, and all leaders deserve to be this inspired." "I had the pleasure of attending the 22nd CODC in Fort Lauderdale, Florida from March 16 - July 24, 1998. I enjoyed the challenging curriculum and learned a tremendous amount about command level police management and supervision. 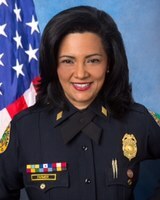 I give full credit to the CODC program and the excellent staff for preparing me to advance in my career where I was ultimately appointed Chief in Deerfield Beach, Florida. 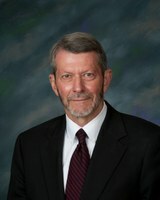 After retiring in 2010, I accepted the Director of Public Safety position for the City of North Myrtle Beach, SC. The best move in my career ever! Knowing how important the SPI experience was to my career, I wanted to provide the same experience to my command staff. Thus far, our Police Chief Phil Webster graduated from the 130th AOC in the fall of 2013 and just this past fall our Police Captain Mike Baldasarre graduated from the 132nd AOC. We already have plans to send another command staff member in the fall of 2015. I cannot thank the University of Louisville, Southern Police Institute enough for preparing me for advancement in my career and helping prepare our leaders here in North Myrtle Beach for tomorrow's law enforcement challenges." "As a newly appointed commander (February 2014), I rely on my training, past experience and fellow staff members for direction and guidance. SPI has proven to be a valuable tool to me. Today, I implemented a SARA model initiative, used by the Louisville Metro PD, to which I was exposed while attending the 122nd AOC at SPI. The research we conducted and studied have allowed me to develop policing strategies that are already proven so as not to reinvent the wheel. I definitely recommend SPI's AOC!" 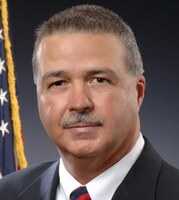 "For me, as for many others, the AOC was a career changing professional education - one that benefited me throughout my career, first as a regional commander with the Mississippi Bureau of Narcotics and later as an Assistant U.S. Attorney, Attorney Advisor to the Iraqi High Tribunal and as the DOJ Justice Attaché for Iraq. In particular, AOC helped develop an expanded mindset and forward-looking approach to leadership with an emphasis on critical thinking, problem solving, creativity and initiative, along with a constant openness to the ideas and contributions of others. The lessons I learned in AOC served me well in every position I have held and as an adjunct professor I now try to instill the same broad, dynamic approach in my students. To the staff and professors of SPI: Thank you and 'well done'." 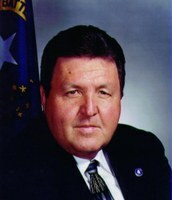 Director of Public Safety for the Capital Region Airport Authority for Lansing, Michigan's Capital Airport. "The networking between attendees cannot be overstated. 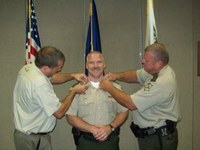 I met Chief Troy Abney there, who soon became the chief of the Nevada Highway Patrol after we attended the class. I followed Troy's advice on several issues, and made a good long distance friend. His biggest suggestion was to make sure the job I took was a good fit, and it sure appears to be that way now." SPI is a "Class Act"
"Breath taking!!!!!! There is no institution for law enforcement learning greater than "The Southern Police Institute". The "Prospectus," The "Syabi" Lol (Dr. Walsh.) A "Great" experience." 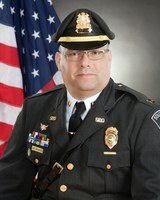 "My experience at SPI certainly ranks among the highest achievements in my law enforcement career. The training experience is second to none among professional training programs and I encourage anyone interested in advancing in their career or expanding their knowledge to get involved in this course. The instructors are practical experts in the field and teach on a level that all cops can relate to. The professional contacts are truly invaluable and the lasting friendships are priceless." "Prior to attending the Southern Police Institute, I did not fully understand or appreciate the benefit of leadership training for upper level law enforcement management for someone who had been in law enforcement for more than twenty years. But, I found the training I received at SPI the most challenging, informative and invaluable training of my career. The training gave me the knowledge and confidence to provide reasoned and sound decisions as a leader and I truly believed it made a difference in my organization. For any law enforcement agency that is considering a training program that educated their law enforcement managers and provides the needed leadership skills and knoweldge that will ultimately benefit their organization in the long run, I recommend SPI." 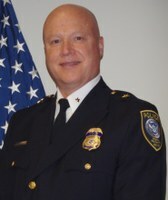 "I have attended many law enforcement training schools in my 20+ year career and the Administrative Officers Course is by far the best course I have attended. I spent 12 weeks learning how to be a more efficient and effective law enforcement leader while making many new friends in the process. Networking with all the other students from the different law enforcement agencies from around the country has proven to be a valuable resource as well. I returned to my department a more confident supervisor due to the high quality training I received and I felt more prepared to handle any future challenges in my job as a Sergeant. When the opportunity for advancement arose, I excelled in the Lieutenant’s assessment center and placed first out of all the candidates. It was pointed out to me by several people that it was evident that my training at SPI had paid off and helped prepare me for my promotion to Lieutenant." "The AOC program at the SPI was an exceptional one that gave me first-hand experience in being overloaded to the point that I thought it was not doable, but it was. The multitasking skills that the AOC helps develop have been invaluable throughout my career. The friends I made there were also exceptional and many of us still stay in touch. The academics at the AOC, particularly the graduate level options, are top notch. I strongly recommend sending people to the program that you want to develop for future leadership roles in law enforcement." "The education I received at SPI, along with the people I got to know has proven invaluable to me since my graduation. Not only, in my police career (retiring as a Captain) but, in my founding and heading the international non-profit organization, Project Lifesaver. This organization is grounded in working with law enforcement and public safety." During that first week, I lacked the confidence to lead an agency. But over the next three months I learned more than I would have thought possible; not only from the classroom instruction, but from all the time and discussions I had with my fellow classmates. I developed valuable knowledge and future professional contacts and personal friendships that I still have five years later. I took Alex Ferguson’s question as kind of a professional challenge. 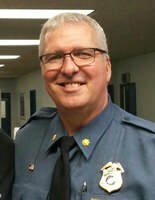 A year after graduating with the class of the 116th, I had a new found confidence to retire early and accept a Police Chief Position in Colorado. I truly believe that I owe that confidence to the instructors and my classmates of the SPI." "It was a great opportunity and experience to attend the Southern Police Institute's Administrative Officers Course. The curriculum and faculty definitely challenged each of us to focus on making our respective police agencies more effective and efficient. 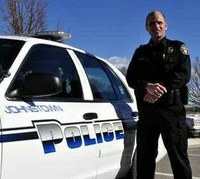 I found it interesting, regardless of the size or type of law enforcement agency, the challenges and issues are the same. The professional contacts and friendships are invaluable." "Graduating from the 87th AOC was truly a career changing event for me. I attended SPI almost 20 years ago and it changed my whole perspective of supervision, management and administration of a law enforcement agency. Since that time, I have recommended several young mid-managers from Nevada law enforcement agencies attend the SPI - AOC program and they too returned with similar experiences. Since retiring from the Nevada Department of Public Safety, I have had the privilege of serving in two other law enforcement related organizations and used the tools provided by SPI to assist me in the promotion of professional law enforcement practices. It is something that every potential law enforcement administrator should be required to attend. 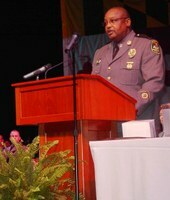 SPI will continue to produce excellent law enforcement leaders for the 21st Century." "Graduating from the Southern Police Institute’s 125th Administrative Officers Course (AOC) is one of the most beneficial professional development experiences I have participated in during my municipal and federal law enforcement career. The AOC is a challenging police executive level course of study that integrates research concerning the application of modern “real world” police best practices, foundational principles of the criminal justice system, emergent legal trends and the study of proven leadership models. The course provides attendees an opportunity to greatly enhance their ability to develop and implement complex crime reduction strategies in a variety of policing environments. AOC classes are comprised of senior law enforcement personnel representing a cross section of police agencies nationally. This provided a rich learning experience in which classmates frankly discuss and consider current police practices and challenges within a unique learning dynamic. The professional affiliations I developed with AOC faculty and classmates endure beyond graduation and are extremely valuable personally and professionally. I strongly recommend the Southern Police Institute’s Administrative Officers Course to any senior law enforcement agency administrator who wishes to enhance their own executive leadership skills or develop those critical skills within their own agency." "It's understood that only a few officers will get the opportunity for such a wonderful experience. The exposure to some of the top law enforcement officials from around the world, mixed with the outstanding staff and saturated with learning continues to serve me to this day. 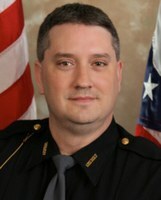 After retiring as a Captain with the Covington Kentucky Police Department, I went on to be appointed the Chief Deputy Kenton County Clerk. 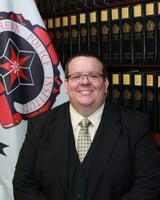 To this day I cherish the friendships and skills developed at the Southern Police Institute. While my formal education continued, I only wear the SPI ring. Happy Anniversary. Continued success." "When I attended the AOC I had already completed a Master Degree in Management. Despite that I found that the AOC course content was very challenging. The things I learned in the course were of invaluable help to me when I served as a project manager on several multi-million Dollar computer and communications project with the Hollywood, Florida PD. 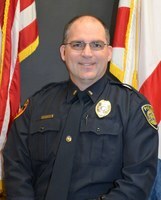 When I first decided to leave Hollywood PD to become a police chief it was clear to me in my first job as Chief that getting selected from 140 other candidates was certainly influenced by the reputation of SPI and my graduation from a number of SPI's management courses including the AOC. 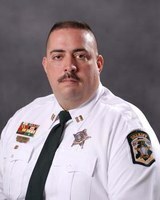 After serving as Police Chief in Liberty, MO for several years I was selected to start up a brand new police department in the Village of Pinecrest, Miami-Dade County. The coursework I completed at SPI was of invaluable assistance to me in this very complex task. 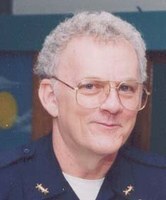 After a very satisfying career, including teaching at a local college, I am now retired in Crossville, TN." "The knowledge and the life long friendships that I have developed since attending the class are the greatest things I took away from class. It was the most challenging thing that I have ever done in my life. I would take nothing for it." "My SPI AOC experience is one of my fondest memories, and was the most significant developmental opportunity in my career. The coursework was challenging and expanded my thinking tremendously as a new leader, and I made many new friends in the profession from around the country. The Graduate Option gave me my first graduate-level university credits, which motivated me to go back to school and earn my masters degree in 2003. My SPI experience continued to build me years after I left!" "The most challenging course I ever attended, but well worth the gray hair and weight loss. I was promoted to Chief within a year of graduating. I have used, bench-marked, copied and implemented everything I learned from the AOC." "I truly learned more than I could have imagined. It was great getting to meet fellow officers from all over the country. It was a very challenging course but I wouldn't trade the experience for anything." "I feel blessed, not only for getting through the training, but also for being given the opportunity to go. The Southern Police Institute professors, guest speakers, and instructors are top notch and they are very knowledgeable of the material. In the AOC, through the combination of class work, studying, group projects, presentations, papers, stress, dorm life, examinations, and more, I formed a special connection with my SPI associates. The friendships and bridges that you build during the AOC will not only help in your career, but will last a lifetime. I miss everyone and hope they are all doing well. When thinking of SPI, I often relate it to an encouraging quote from my former Colonel Robert Milligan, "This is a great opportunity for personal and professional development that has applications far beyond your career progression. The long term rewards far outweigh any short term inconveniences." I hope someone finds those words of encouragement and signs up for AOC. It is a great experience! "What a great experience to be associated with such an elite Institute and the many members to which I have become acquainted! My greatest memories are not only from attending the 94th AOC, but from being a part of the SPI Alumni Association (SPIAA) and the SPIAA National President from 2004 through 2005. The Williamsburg re-training conference was a huge success as a result of many long days of fund-raising and organizing by some of the greatest people I have ever worked with. I want to thank my wife, Linda, for many long hours spent supporting me during this challenging time and for always standing by my side. Dr. Bill Walsh will always, in my mind, be a legend of the Southern Police Institute. He issued many academic challenges that we as students of the 94th thought could never be met, but – thanks to his guidance - were achieved. May the SPIAA National and Virginia Chapters forever be strong and committed to broadening the minds of all National and Virginia alumni with continued quality and superb training. 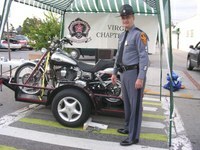 As you can see from the photo, the many Harley Davidson raffles were a big part of our fundraising activities from 2001-2005." "I attended the Management of the Small Law Enforcement Agency seminar in May 2001 and consider it one of the better courses I have ever attended on Law Enforcement management. I hope to return and complete the NSA Executive Leadership Program. SPI is first rate in training! Thanks again." "There are so many memories of this experience. First, the dormitory life was something I had never experienced (except in the Army), and will never forget!" "I am proud of my affiliation with SPI and University of Louisville, and gained so much through the contacts made with my fellow classmates and instructors. In fact, our class held a "reunion" last year, and one is in the works for this year. The course taught us some old things in new ways, and gave us a new way of thinking, to bring our agencies forward."